I had the chance to be at E3, LA this year. In case you missed it during E3 this year, Microsoft is aiming to link up all of your devices to create a true harmony. Xbox SmartGlass will allow your devices to sync up together in a way that you’ll never miss a moment or perhaps so that you’ll enhance those moments. Take a look at this great experience here-below. Use your phone or tablet to control what you’re seeing on TV. Easily explore the internet on your TV using your phone or tablet to browse, scroll, pinch, and zoom. Start playing one of your favorite shows, music, sports or games on a device and move it to your TV to keep watching on the big-screen. Intelligently interact with your Xbox 360 with your phone or tablet. Enjoy rich second screen experiences that automatically change and customize based on what’s on TV. The Xbox SmartGlass app is available on Windows Phone or tablet, and the innovative Xbox SmartGlass technology is available on other major platforms in the My Xbox app. 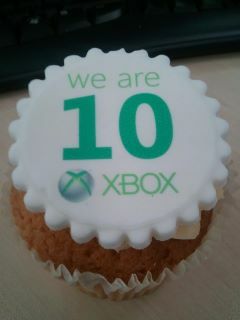 Happy 10th (European) birthday Xbox! Happy 10th (European) birthday Xbox! On this day in 2002 the original Xbox launched in Europe. What is your first Xbox memory? We have fantastic news for you. 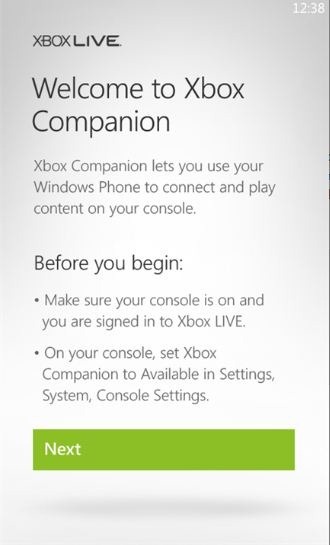 The Xbox Companion application for Windows Phone 7 is available for download today. Basically, it will connect your Windows Phone to your TV. Don’t forget checking out the killer video that shows all of the new things that will be possible with an Xbox 360, Xbox LIVE and Kinect in your living room. 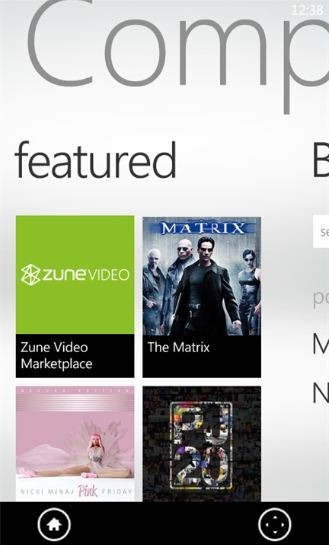 This utility lets you find, learn more about and control content from Xbox LIVE Marketplace on your Xbox 360 straight from your Windows Phone. Find Content: Just like on your Xbox, the Xbox Companion gives you instant access to the Xbox LIVE Marketplace catalog of games, movies, music and TV shows. Learn more about what you’re watching, listening to, or playing: Once I found the movie and touched the movie tile, the Xbox companion app took me to an info page that has all the related details about. Remember that you can keep up on all the latest stuff from Windows Phone through the The Birdsflok website and @WP7BE Twitter handle. 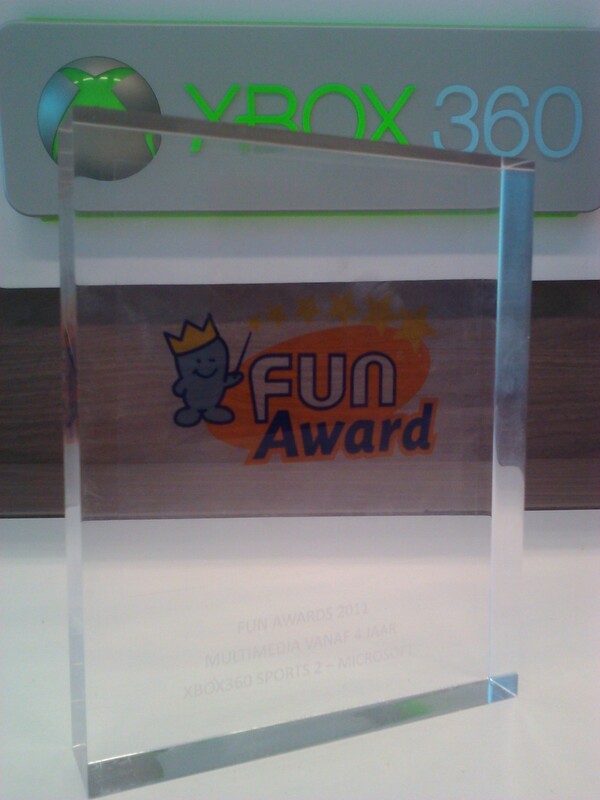 #Kinect got the FUN AWARD Price 2 times in a ROW in Belgium, via @davidmerzel’s BLOG. Kinect Games got the FUN AWARD Price 2 times in a ROW, in Belgium. Great recognition from the cnsumers and A big thank to my TEAM to make this happen !!! Game Sports 2 for Kinect / Xbox 360 has been recognized as prefered game by kids from 4 years old. Watch these video to discover Game Sports 2 for Kinect / Xbox 360. 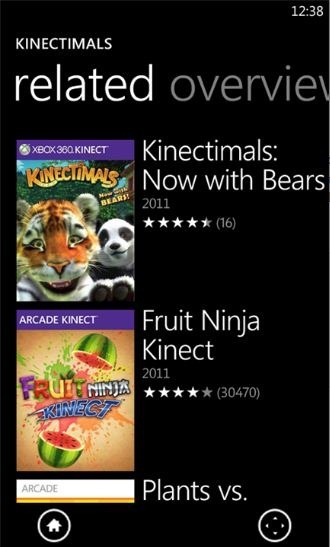 What Kinect Games will come very SOON ? Watch this video. When we launched Kinect last year it was greeted with amazing enthusiasm by consumers, resulting in sales of over 10m units at last count – and a place in the Guinness World Book of Records as the fastest selling consumer electronics device of all time. Another community greeted Kinect with just as much enthusiasm – developers. Developers, developers, developers – they took to Kinect in an instant, surprising Microsoft with the breadth of their imagination. – at no cost – from Microsoft Research. It provides access to Kinect’s “raw sensor streams” – which means developers can work with the high speed skeletal tracking capabilities, depth sensor, color camera sensor and the microphone array. Oh and over 100 pages of high quality documentation and sample code to demonstrate how to use the sensor.